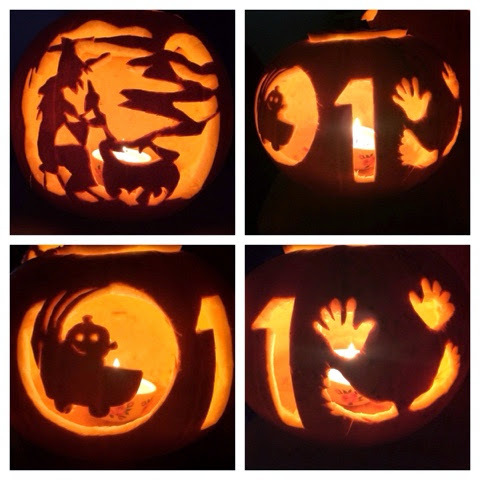 I just wanted to share a few photographs of Emily's first Halloween with you, We carved some pumpkins. Well I carved the pumpkins, which might I add they were completely hand drawn and they took me ages. Emily dressed up in a really cute little cat outfit, she had a matching pair of socks, and a little bib too.